This May more than 500 people in South Africa learned about Jesus at a Rev It Up! Revival evangelistic meeting led by Tom Hughes, a pastor in the Ohio Conference. The National Association of Social Workers (NASW), DC Chapter recently presented awards to a professor and student from Washington Adventist University (WAU) in Takoma Park, Md. The NASW is the largest professional association of social workers in the world, and the only organization dedicated to advocating for the entire profession of social work and the populations they serve. Student Cindy Ascencio (pictured left) received the "Social Work Student of the Year" award for her leadership in the field of social work. She is president of WAU's social work club, is a member of the Pi Alpha National Honor Society for Social Work, and is active with the WAU Student Association. Last weekend six academies from around the Columbia Union Conference celebrated graduations: Blue Mountain, Highland View, Pine Forge (pictured left), Shenandoah Valley, Spencerville and Spring Valley. 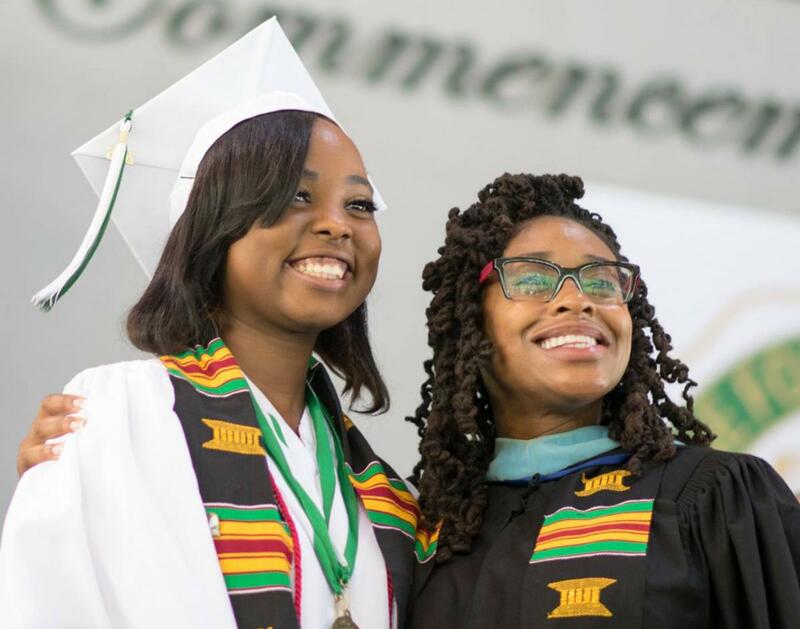 Richmond and Takoma academies will hold graduations next weekend. A record 2,000-plus people attended WGTS 91.9 FM’s sixth annual Night of Hope, one of the station’s key evangelistic pushes. Immanuel’s Church in Silver Spring, Md., hosted. This year the event started on Friday with a special broadcast dubbed the Day of Hope. 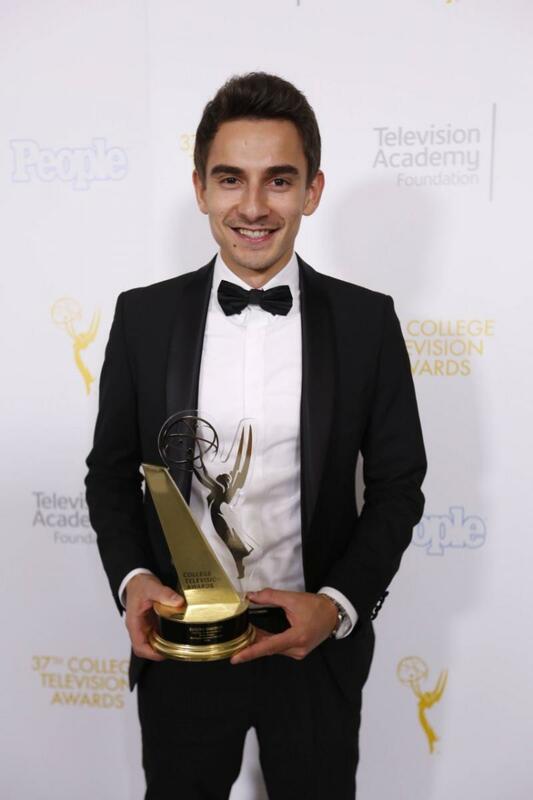 Eugene Simonov, director of video and creative marketing for WGTS 91.9 and 2016 graduate of Washington Adventist University in Takoma Park, Md., was awarded second place in the 37th College Television Awards, presented by the Television Academy Foundation – Emmy, for Best TV Series – Unscripted. Simonov won as producer of the WGTS 91.9 video series, Words of Hope. The awards ceremony took place Wednesday, May 25, at the Skirball Cultural Center in Los Angeles. The following is a statement released by the Potomac Conference. ADRA is launching a month-­long campaign in support of refugees, beginning on May 30. Through this campaign, ADRA will join other non-­profit organizations around the world in showing support for refugees in the lead up to World Refugee Day June 20. The campaign will also complement World Refugee Day Sabbath on June 18. In addition to showing ADRA’s support for refugees, the campaign aims to engage the public in an open dialogue, providing a better understanding of refugees, and challenging some of the prejudices and misinformation which surrounds the topic. Since refugees began arriving in Europe in unprecedented numbers in 2015, ADRA has been active in seven Eastern European countries, helping over 120,000 refugees. Their dedicated staff and volunteers provided essential items including food, winter clothing, and hygiene kits, as well as services such as transport, information and translation services, psychosocial support, and charging stations. The closure of European borders in March 2016 has left around 50,000 refugees stranded in Greece. ADRA has established a presence in Greece and is responding to some of the immediate needs of the camps in the country’s north. The overall project goal is the improved living conditions fo vulnerable refugees and migrants.